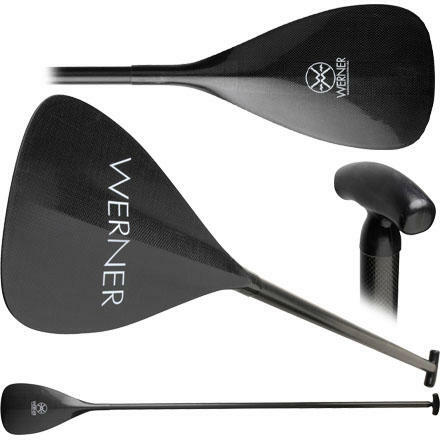 The Spanker 2-piece Adjustable Carbon Fiber SUP Paddle is perfect paddle for folks that tour as well as surf. The Spanker's Performance Core blade is buoyant, lightweight, and quiet. The mid-size tear drop shape offers gentle power and a smooth easy stroke. With its ribless back you're assured smooth sculling strokes. The Spanker is great for SUP paddlers wanting immediate power with low smooth strokes or experienced paddlers wanting the most power for every stroke. The 2-piece adjustable SUP paddle shaft telescopes to four different length settings, making it the choice for both covering distance and playing in the surf. 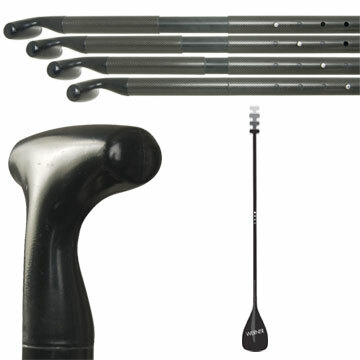 Ovalized indexing and an ergonomic ABS palm grip ensure a good hand fit and controlled strokes. The Spanker Carbon 2-piece adjustable stand up paddle is the choice for those SUP paddlers that want to do it all!